Just how complex is cloud DevOps anyway? Why is the mouse cursor icon angled? Some design lessons in software application development are complex, multi-layered and based on extensive cognitive research of user behaviour in the face of different kinds of application use cases. Some lessons, on the other hand, are just simple..
How do we program in playability? 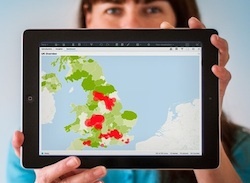 TIBCO has this week announced its cloud-based Spotfire data discovery and visualisation platform.